I've raved about Magna-tile building toys before and here I go again. We've done so many things with them I cannot recommend them enough. 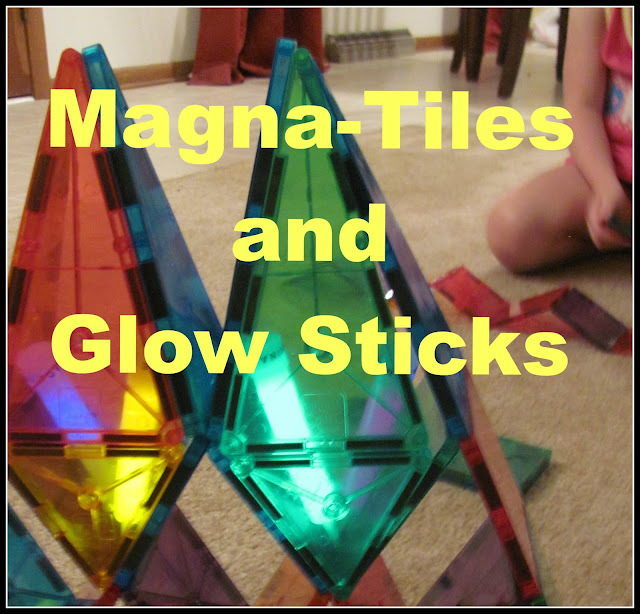 This time we built with Magna-Tiles and glow sticks. 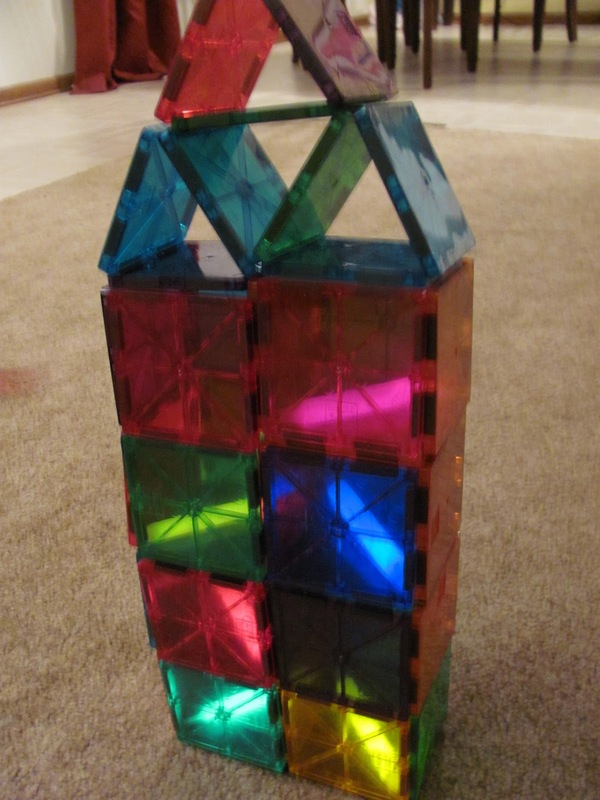 The clear building set make the combination with glow sticks perfect. The clear set are much cooler as compared to the opaque kind. 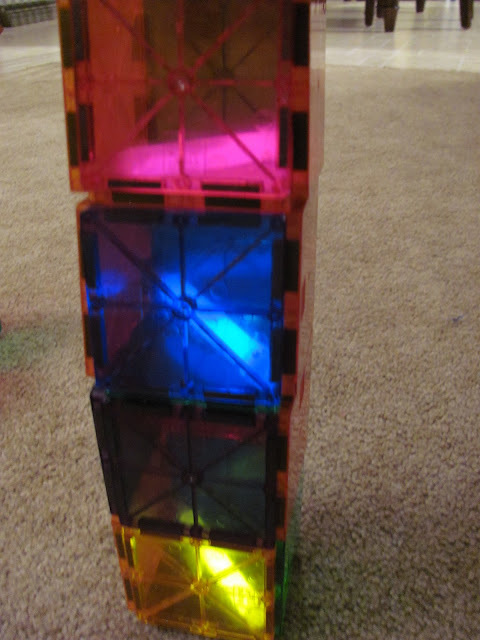 Here are some of our Magna-Tile and Glow Stick structures. 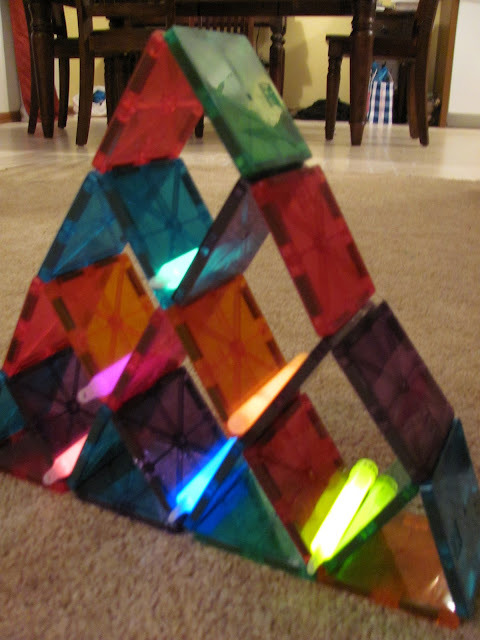 Have we convinced you to try out Magna-Tiles yet? Thank you so much to you for telling us all the beautiful things you make with your daughter. These is amazing creativity, thanks for sharing such good stuff. chocolate, candy, cookie and candy gifts, and candy gourmet gift holders delivered national. Send a candy bouquet today.